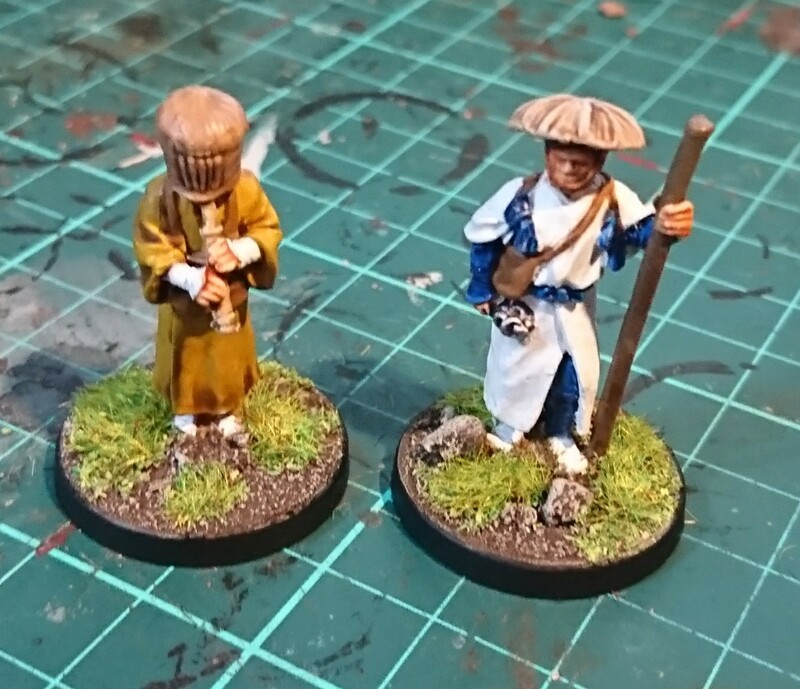 I only managed to finish two figures this month – a couple of Japanese Monks from Perry Miniatures. I have several more ‘in progress’, but these don’t count, do they? The only figures purchased were a couple of extra gang members for Gangs of Rome, plus two ally figures. I had a poor February as well compared to Jan. I’m still refusing to put MB:P in my bought score! lol, i have the Typhoon pledge of MB:P that i refuse to add to my count. I actually have never counted just how many unpainted i have 😀 as I’m sure it would total well over 1k (in addition to MB:P I am working on a King pledge of Conan, in addition to a handful of other board games and also just single minis. Neil, how are you counting free figures from rule sets or events in the tally? Martin, in short, I am not. If I didn’t buy it, I am pretty sure that I will not be painting it!